Early research in learning analytics (LA) predominately concentrated on the development and evaluation of various predictive models designed to aid student retention (Dawson et al 2014). Building on this early work LA has rapidly progressed not only in the scope and diversity of studies, but also the sophistication of the analyses with an emerging emphasis on theoretical contributions (Wise and Schaeffer, 2015). Although the field is receiving continued attention there remains numerous unresolved learning and teaching challenges to address. For example, Lodge et al. (2017) draw attention to the inherent complexities when inferring learning outcomes and processes from big data sets – now a relatively core and common approach in LA research. Where such insights are implied there remains a lack of attention to the reproducibility of findings and the associated impact such findings can bring to bear on learning and teaching practice. If the goal of learning analytics is to provide insights into learning then as the field further matures there is a requirement to extend beyond prediction and statements of actionable intelligence to more longitudinal studies involving novel methodologies and analytical techniques. Key to this work will be furthering our collective understanding of how student, teachers and administrators make sense of increasingly complex data sets and information through visualisations and feedback mechanisms. This is particularly relevant in an era of digital education that is increasingly promoting accessible, open, flexible and distance learning pathways. Education has a critical role to play in society by developing the capability and opportunities for individuals to be productive and engaged citizens. Yet mainstream formal education practices alone are no longer sufficient to cater for the complex societal demands as individuals radically alter career directions, seek alternate education access and attempt to balance competing life, work and education requirements. Formal and informal learning opportunities through open, flexible and distance learning models are necessary partners within the broader education system. As such, contemporary educators are increasingly experimenting in flexible and open teaching and learning models and technologies that can still create socially engaged and active learning contexts. Educators are acutely aware of the need to re-adjust learning and teaching practice to foster 21st-century capabilities. This process is closely associated with an open, flexible and sustainable space that is no longer simply a physical construct, but also includes an online environment that is not only supportive of this new type of learning but acts as a catalyst for learning. The online learning environment is an important integrated part of our educational system that allows learners to explore connections between what they have learned and other sources of knowledge and experience. In recent years, broad learning initiatives (e.g., Open Educational Resources, Khan Academy, Massive Open Online Courses, as well as digital badges and micro-credentialing) have offered greater openness, transparency and flexibility in accessing learning and demonstrating outcomes. These initiatives have vastly extended the opportunities for students to access alternate modes of learning while interacting with peers on a global scale. However, to date much of the research investigating the role, impact and influence of these learning opportunities has focused more on the practical outcomes in lieu of more theoretical or policy driven perspectives. Such perspectives bring critical insights and debate to justify the ways online, open and flexible learning environment operate to balance an increasingly technology dominated education paradigm. There is a need to create new conceptual and theoretical frameworks to guide our understanding of the future potential of online and flexible learning contexts to educate young people. We have much still to understand in how student learning processes develop and adapt to changing contexts. Similarly, there is much work to undertake in identifying effective, scalable and sustainable approaches to designing and implementing more personalised and contextualised learning support as well as providing our teachers with relevant and timely data to empower actionable intelligence. In this context, learning analytics has generated new opportunities to invigorate the online, open and flexible learning environment, punctuated by the digitisation of immense volumes of clickstream data and the capacity to access and learn from it. What makes learning analytics vital in online and distance education is the fact that this kind of learning has been aided by evidence that has been previously hidden in large datasets from varying online platforms (e.g., MOOCs, ODeL, VLE, and Twitter). The importance of analysing these unprecedented volumes of data about learners in online and distance education has great potential in helping to understand the learning trajectory of diverse sets of learners. The traditional research approaches long practiced in conventional education settings are increasingly incongruous with relatively new models of online education. 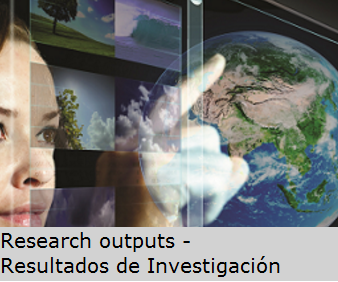 There is an urgent call for research that utilises new methodological models (e.g. the model of ecosystem and metabolism and epistemological models) and adopts advanced approaches (e.g. complex network analysis, deep learning) to identify the underlying mechanisms affecting changes in learning and interactions in online settings to further understand the complexity of learning in such flexible, changing and scalable contexts. The aim of the special issue is to foster scientific debate among educationists, data and learning scientists, statisticians, computer scientists, teachers, practitioners and others to understand how learning analytics can lead to an understanding of learning and teaching process while (re)invigorating the quality of online and distance education. In this special issue, we invite state-of-art research studies that show how new theoretical models and innovative approaches have been employed to understand learning and teaching through the use of large-scale or granular datasets. Given the potential of learning analytics to provide new insights into contemporary education challenges, there are numerous topics that may be addressed such as: Improvements in understanding the learners, their learning process and outcomes, and the learning environment or assessment, feedback and sense-making of data visualisations. The specific context for these studies should centre on open, flexible and distance learning. Understanding the development of current online learning initiatives to create new strategies for future sustainable development. Identifying patterns and making predictions that characterise learner-learner engagement over time. Designing intelligent feedback mechanisms, algorithms and software for complex online tasks. Creating new conceptual and theoretical frameworks to use learning analytics to guide understanding about the potential of the online and flexible learning contexts to re-adjust learning and teaching practice. Devising new models, tasks, methods, tools, measures and algorithms that advance the art of educational data mining in online and flexible learning. Addressing technical challenges in visualization, natural language processing, network analysis, simulation, systems optimization, etc. in methodology. Dawson, S., Gašević, D., Siemens, G., & Joksimovic, S. (2014, March). Current state and future trends: A citation network analysis of the learning analytics field. In Proceedings of the fourth international conference on learning analytics and knowledge (pp. 231-240). ACM. Lodge, J. M., Alhadad, S. S., Lewis, M. J., & Gašević, D. (2017). Inferring Learning from Big Data: The Importance of a Transdisciplinary and Multidimensional Approach. Technology, Knowledge and Learning, 22(3), 385-400. Wise, A. F., & Shaffer, D. W. (2015). Why Theory Matters More than Ever in the Age of Big Data. Journal of Learning Analytics, 2(2), 5-13.